SEVEN-TIME EMMY AWARD WINNER ED ASNER TO PERFORM AT THE TEMPLE THEATER IN SEPTEMBER! 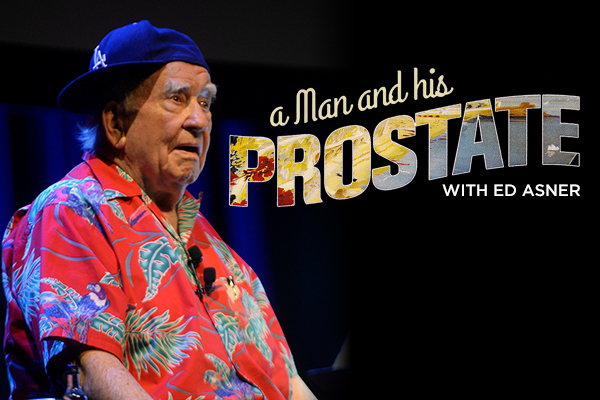 DES MOINES, IA - Des Moines Performing Arts is pleased to announce A MAN AND HIS PROSTATE starring legendary television actor, Ed Asner, at the Temple Theater on Thursday, Sept. 27, 2018 at 7:30 p.m. Tickets to A MAN AND HIS PROSTATE will be available starting at 9:00 a.m. on Monday, June 4, 2018 at DMPA.org, the Civic Center Ticket Office, and by phone at 515-246-2300. Ed Asner has been an enduring presence in television, film, and stage for over 60 years. Best known for his roles in “The Mary Tyler Moore Show,” and “Lou Grant,” he has accumulated over 100 television credits. Younger audiences will recognize him as Santa in “Elf” and from voicing Carl Frederickson in the animated feature “Up.” He has been nominated 20 times for Emmy Awards and won five times. He is a Past President of the Screen Actors Guild. A MAN AND HIS PROSTATE was created and written by award-winning writer, Ed Weinberger (9 Emmys, 3 Golden Globes, and a Peabody). This hilarious show is based on his true life experience while vacationing in Italy and being rushed to a hospital for prostate cancer surgery. According to Weinberger, Ed Asner was born to play this role of an old codger who won’t take any of life’s injustices sitting down as he prepares for the surgery.